Happy saturday everyone, hope everyone had a good week and are having an even better weekend. As I mentioned last Saturday - as well as beauty related postings, I am throwing in some lifestyle, 'behind the blogger' posts. Today i'm bringing to you my favourite shows at the moment. I am most definitely a tv addict especially since receiving my Apple Tv for Christmas - far too handy. I am a huge Grey's Anatomy fan, I actually started watching it last year for the first time and I purchased them all on iTunes - since then - sad as it is to admit, I hate when the season comes to an end. 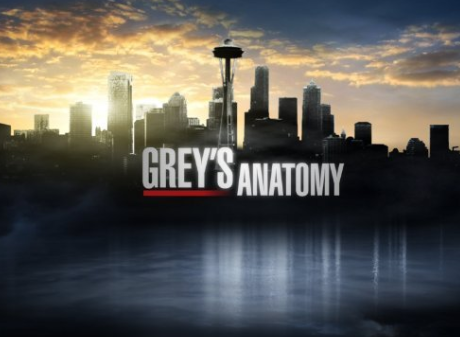 Season 9 is due to end on May 16th and i'm really nervous about what Shonda Rhimes has planned for the characters - I am a couple of episodes ahead of the UK - I watch it online, so I won't give any spoilers but Season 9 Episode 21 'Sleeping Monsters' is particularly good. I also read somewhere that Shonda Rhimes was challenged to 'top' the Season 8 finale when our favourite Doctors were in that horrific plane crash - it is statements like that, which worry me. I just love Dana Delaney and especially as her role as Dr Megan Hunt in Body of Proof. Dana is better known for her role as Katherine Mayfair in Desperate Housewives (which I also love). Though I prefer her character in Body of Proof. In Body of Proof, Dana portrays a smart, confident and empowering woman compared to quite a fragile character as Katherine Mayfair. I only started watching Body of Proof last week and I am already at the end of Season 2 - I have one episode to watch - so please no spoiler comments. Then on to Season 3, which I believe is the most up to date season. 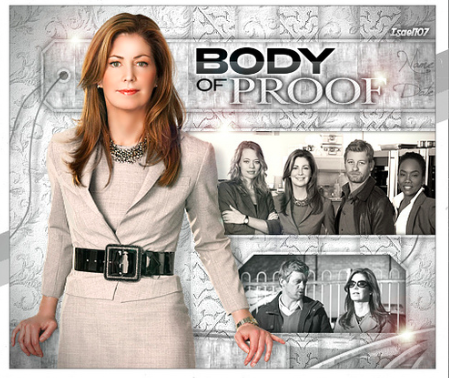 Body of Proof, for those of you who are unfamiliar is about the life of Dr Megan Hunt, Medical Examiner in Philadelphia, solving murders, and reconnecting with her estranged daughter. Admittedly, it started fairly slow, however, Season 1 is fairly short - Season 2 has been astounding. Other favourite characters from the show are Ethan Gross (portrayed by Geofrey Arendt) and Curtis Brumfield (Windell Middlebrooks), they really are the making of the show. Their characters go together like Batman and Robin and never fail to make me giggle, so witty. I plan on watching the finale of Season 2, tonight with a glass of wine. Finally, I feel like I was slow to jump on this band wagon. My Husband, Sister and Brother in Law were watching this long before me, I never bothered as didn't think it would be my cup of tea. Well a few months ago when David was offshore, I downloaded season 1. . . then Season 2 - until I was so utterly hooked I couldn't switch off. Breaking Bad is about near broke Chemistry Teacher, Walter White (portrayed by Bryan Cranston) that when diagnosed with terminal Lung Cancer, worried that he can no longer provide for his family he teams up with ex stundent Jesse Pinkman (Aaron Paul) and takes to 'cooking Crystal Meth' thus becoming a major Drug Dealer 'Heisenberg'. During the course of the seasons I have gone from loving Walter White to actually despising him, they have made his character so brilliantly bad. My favourite characters have to be Jesse Pinkman and Hank Schrader (Dean Norris) - Walter's Brother in Law. For those of you who haven't watched BB or are just watching it now, I won't spoil it but I am so excited about the second half of Season 5 which I believe to be aired in August. 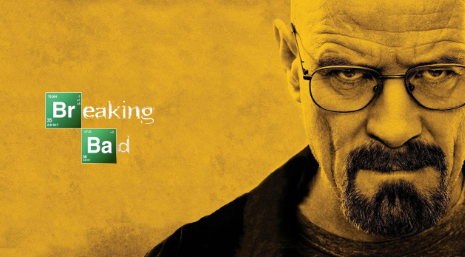 I also believe it will be the last in Breaking Bad. Super excited!! Hope you enjoyed reading this post - it is definitely different to my norm. Since I am running out of TV shows please leave me your recommendations below for new shows to become addicted to. Perhaps you are a lover of the aforementioned, what do you think of the shows and their characters? Grey's Anatomy is my all time favourite TV show! I've only seen up to episode 19 of season 9, but I'm not as impressed with this season as I usually am (except the first few episodes, so many tears!). I'm worried it's just going to fizz out :( Derek is still my favourite character. As for other TV shows, The Walking Dead and Bones are other TV shows I'm addicted to. My boyfriend loves Breaking Bad, so I think I should probably check that out! My favourite show at them moment has got to be New Girl, do you watch that? Hi Amy, I haven't seen it but my sister has been raving about it . another for the list i think! I have never watched any of these you know? I'l like to watch body of proof though! I love Breaking Bad! And The Walking Dead, and Game of thrones too! I love Greys Anatomy and Christina is my favourite - I love her! Grey's Anatomy and Breaking Bad <3 such a great series, I'm so junkie of them! Oh man - bless you for posting about Grey's!! I have so much serious love for that show! And I'm up-to-date (mostly - still need to watch this weeks!) with the US too - biting my fingernails for the big finale - I don't trust Shonda Rimes and her bloody marvelous, heartbreaking writing. Remember the finale of season 6?! All I'm sayin'. And Bailey. Can we talk about Bailey. Can we talk about how this woman breaks. my. heart. every single time she has a storyline? Gawwwwddd. Also - your blog has made my bank holiday a little brighter :) Hooray for new discoveries.